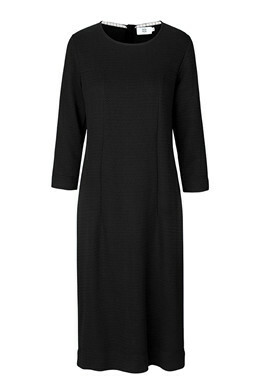 Elegant knee-length dress with beautiful stitching details that accentuate your figure. The dress is in soft jersey with a patterned structure and has short sleeves. Wear it in the daytime for work or dress it up with a pair of stilettos for parties.